Planning a hip and happening party and need a band with a set list to match? Then you've come to the right place! Bands for Hire is home to some of the most cutting-edge bands on the scene – our modern and contemporary bands for hire keep a keen eye on the charts, watching out for the latest musical trends and adjusting their palates ready for the new flavour of the month. The beauty of the modern and contemporary genre is that it's all-encompassing – hip-hop, R&B, pop, rock, drum and bass and dance music are all up for grabs these days, and our modern bands are notable for trying their able hands at all of these genres and more. So any kind of event for which you'd happily hire a modern chart DJ is the perfect place for people to get down to our contemporary bands' unique – and live – take on these same songs. DJs of course have their place, but the excitement of a live band playing such modern sounding songs is hard to match. Office parties, birthdays, wedding receptions, graduations, awards ceremonies, charity events, corporate events, or anywhere else where people are gathered for a good time is exactly what our modern and contemporary bands are looking for! 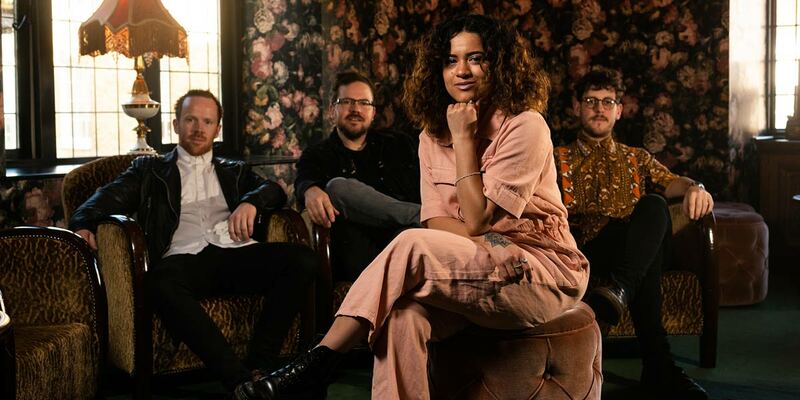 With a new pop star dominating the airwaves seemingly every week, you'd be forgiven for thinking that a working band would be unable to keep up. However, this may be a case of hearing it to believe it – our modern and contemporary bands are au fait with the latest Dua Lipa, Rihanna, Bruno Mars, Rudimental, Swedish House Mafia and Clean Bandit releases (bearing in mind that this very list will soon need to be updated! ), and perform each new hit single with the same enthusiasm and effortless skill as the more familiar 90s and 00s classics (Kylie Minogue, Craig David, Whitney Houston and Britney Spears are just a few favourite artists that our modern bands regularly give the live treatment!). Of course, none of us would be here if it weren't for the greats who paved the way for modern music, so everyone from the Beatles, Gloria Gaynor and Michael Jackson to Stevie Wonder, Queen and Joan Jett are paid tribute to in out modern and contemporary bands' eclectic set lists. Just be sure to expect the unexpected – mash ups and re-imaginings of golden oldies are not unheard of! Our modern bands often need to include more hi-tech instrumentation than the standard guitar-bass-drum combination can produce, so keyboards are a common feature. However, our flexible and accommodating contemporary bands also offer stripped-down acoustic sets, so if this would suit your budget and venue more than a full-on party band with extra rappers and dancers, send a message our way and we'll make sure you still get the Bands for Hire modern and contemporary band experience.